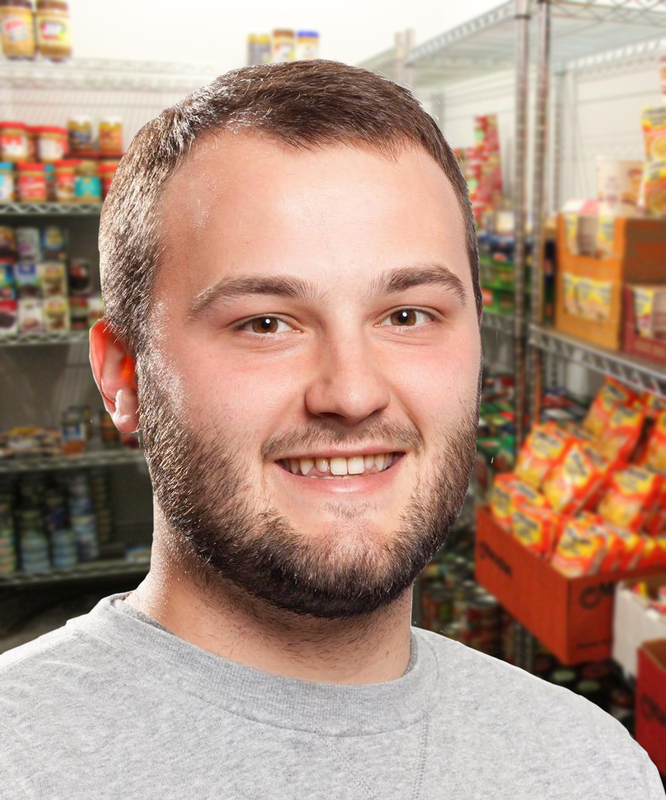 Read more about Dakota Crowell’s efforts and the UWM Student Food Center and Pantry in the article from WUWM 89.7. 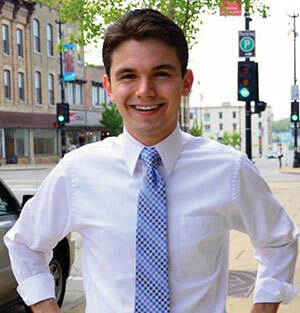 In 2016, Trevor Jung, an Urban Studies major, also working for a certificate in Urban Planning, completed a five-month internship in the Milwaukee Mayor’s office. Trevor worked part-time in the Constituent Relations Department, fielding phone calls from concerned residents about everything from snow plowing schedules to finding shelter on cold winter nights. Jung said of his experience, “I’m so grateful that I did the internship, because I got to see the real stories behind the theory.” In his Urban Studies classes, he explains, they talk about segregation, about public housing, homelessness, economic development, and transportation, but in his internship, he sat in the Mayor’s office answering phones and actually spoke with people of the community who expressed their needs and sought information about public services. He explain: “It puts things in perspective. You’re not just studying these things to be enlightened; you’re studying these things because these are real problems that need to be addressed.” Jung expressed his admiration for the dedication and openness of Milwaukee City Major Barrett. Jung explained: “I got to hand out turkeys to families for Thanksgiving. That was so neat because I got to see the real sincerity of Mayor Barrett. That’s what being the leader of a city is all about – that service mindset.” Jung plans to return to Racine after graduation and pursue a leadership position within his hometown community. Read the article about Trevor in the April 2016 issue of L&S InFocus. 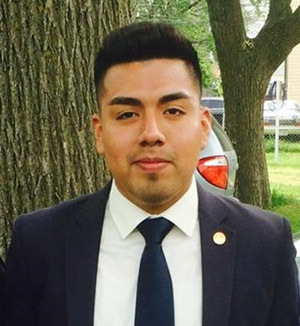 I moved to Milwaukee at 18 years old to do an educational nonprofit, and then ended up staying to pursue a degree in Urban Studies and Political Science at UW-Milwaukee. Urban Studies has allowed for me to articulate and comprehend what I was seeing around me – the intense segregation of Milwaukee; the distressed middle school environment I worked at; the peculiar racial divisions between co-workers; and how the urban space that we see today was shaped by local, state and federal policies. Urban Studies permitted me to study geography, sociology, criminal justice, political science, urban planning, and history all in one—a true interdisciplinary major. The culmination of my major was my senior capstone project, where I spent an intense amount of time in the archives studying why early political fragmentation occurred in metropolitan Milwaukee (what were the political, social and economic reasons? What actors played a substantial role? What theories are applicable and what are the gaps?). As for my future plans as a graduate, I don’t believe I’m done learning yet—but I want to pursue knowledge in my own way, in other forms. 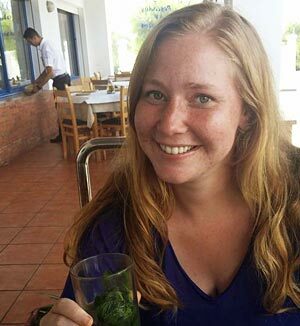 I’m looking to travel out of the country again, hopefully to Chile—a four-month study abroad in Morocco showed me how much traveling allows for self-reflection, growth and understanding. The Urban Studies Program has changed the way I view urban life. I grew up in the South Side of Milwaukee and I know what it is to live through poverty, segregation, unsafe areas and disinvestment in public services, just like many people in Milwaukee. But the multidisciplinary approach of the Urban Studies Program gave me the tools to better understand the core of these issues. It is at the core of these issues where we will find the solutions, which is the most important thing for me. At times it was hard for me to understand why the topics of Urban Studies 250 and 377 were so broad. Every topic was so interesting that I wished we had spent more time on every single one. By the time I took the Urban Studies 600 and did my capstone on local economic development, I understood that all of the urban topics we had reviewed were connected and I knew that if I wanted to help solve urban issues than it was necessary for me to understand the historic, economic, political and social aspects of these issues. Now as the Community Outreach Manager at Layton Boulevard West Neighbors I will share my knowledge with the residents of the neighborhood to solve issues, but most importantly to work on the assets of the neighborhood and to help them achieve their potential. My future plans involve enrolling in the Urban Planning Master’s program at UWM and keep working to make every neighborhood of Milwaukee a place where people can live, work and play. The Urban Studies program here at UWM has been nothing but a positive experience. The multidisciplinary approach is what made the program so attractive, and I now have a broader sense of ways to approach issues in our fast urbanizing world. The courses in the program helped me figure out what I wanted to do after graduation. Prior to declaring a double major in Urban Studies, I had no idea how it related to everyday life. USP 150 and USP 489 have been groundbreaking courses for me. I had the opportunity to work with Layton Boulevard West Neighbors (LBWN) for my final year where I put research skills acquired from urban studies courses to use. I also gained an interest in sustainable housing for urban communities. I found a home not only in the Urban Studies program, but also in non-profit organizations. from both the USP program and my internship at LBWN to use. Future plans involve enrolling in the Urban Studies graduate program concurrently with the GIS certificate program while focusing on economic development and housing. The skills that I have gained while enrolled in the undergraduate program will be great tools in anything that I choose to do in the future. Mark majored in Urban Studies and Urban Geography. “I wanted to pursue Urban Studies as a major after I had taken two Urban Studies classes as electives and liked the content that those classes offered. I also liked the fact that the major was interdisciplinary, which meant I could draw from a number of different disciplines.” In 2008 Mark obtained an internship position with the Milwaukee County Transit System in the planning department, which he is currently engaged in full time during the summer break. You may have read his editorial in the Milwaukee Journal-Sentinel (July 20, 2008), “Board Must Override Walker Veto,” arguing for dedicated funding for Milwaukee County parks and transit. Mark also recently returned from a 2-week Urban Planning study abroad trip to Copenhagen, Denmark, where he had the chance to learn about planning policy and redevelopment in the city.